Bike East Bay was founded in 1972 (as the East Bay Bicycle Coalition) a non-profit, tax-exempt 501(c)3 organization dedicated to promoting bicycling as an everyday means of transportation and recreation. Today Bike East Bay safeguards the interest of bicyclists in Alameda and Contra Costa counties. Bike East Bay works with 33 cities, both counties, Caltrans, and other government agencies to improve conditions for cyclists. Membership benefits include the newsletter rideOn, monthly meeting programs, shop discounts, and the opportunity to participate in “hands-on” efforts to improve cycling conditions. We count over 4,500 paid members, plus several thousand members of 19 affiliated clubs and organizations that are part of the coalition. For four decades, Bike East Bay has campaigned for bicycle access to streets, roads and trails. Our members helped conceive and plan the Bay Trail, organized the first Bike to Work Day in Oakland in 1994, mapped out the safest East Bay bicycle routes, and witnessed the number of bicyclists in the East Bay grow exponentially. Part of the impetus behind Bike East Bay’s formation was the exclusion of bicycles from the newly-opened BART system. 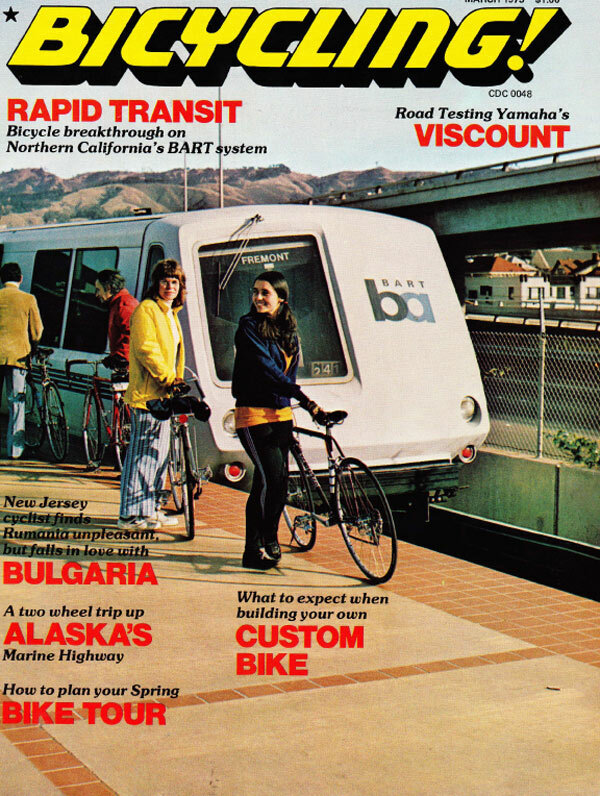 In 1975, we scored our first major victory when BART agreed to allow bicycles on the trains. N early 40 years later, in 2013, after years of working with BART management, we celebrated another huge BART victory as the transit system agreed to allow bikes on all trains, with no time restrictions. Thanks to Bike East Bay and other bicycle advocacy groups, all of the Bay Area’s bridges will soon have bicycle access. In 2013, the San Francisco-Oakland Bay Bridge Bike Path opened on the new eastern span. A continuous bike and pedestrian path on the San Francisco-Oakland Bay Bridge is being planned and bicycle access to the Richmond/San Rafael Bridge has also been promised. Bike East Bay won access for bicycles on the Dumbarton, Antioch, Carquinez (2006) and the Benicia-Martinez (2009) Bridges. It is on the foundation of the East Bay Bicycle Coalition’s fantastic forty years of celebration, community, and advocacy that we grow into our future together as Bike East Bay. We have over a dozen ongoing campaigns. Visit our campaign homepage to learn more and get involved.